Royal Service at Paradisus Punta Cana - Adults Only All Inclusive is located in Punta Cana and has a private beach area and free bikes. The property is around 5 km from Dolphin Island Park and 21 km from freshwater lagoons. The property is set 22 km from Cap Cana Marina.At the resort each room is fitted with a terrace. All rooms are equipped with a coffee machine a flat-screen TV and free WiFi while certain rooms include a balcony and some have sea views. All units have a private bathroom with a bath.A continental or buffet breakfast can be enjoyed at the property. Guests can dine in the on-site restaurant which specialises in Mediterranean international and Latin American cuisine and also offers vegetarian and dairy-free options.Royal Service at Paradisus Punta Cana - Adults Only All Inclusive offers a range of wellness facilities including a hot tub and a fitness centre. You can play tennis at the accommodation and the area is popular for windsurfing.Guests can swim in the outdoor swimming pool or use the business centre that offers printing copying and fax services. 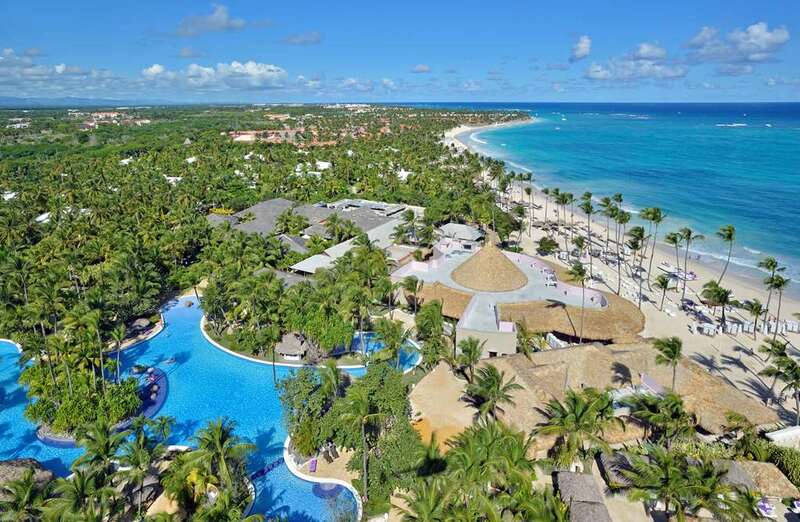 Speaking German English Spanish and French staff are willing to help at the 24-hour front desk.Playa Juanillo is 22 km from Royal Service at Paradisus Punta Cana - Adults Only All Inclusive while Palma Real Shopping Village is 5 km from the property.